Fresh Start is your best choice for professional upholstery cleaning and deodorization of your furniture. We clean with steam and pet safe detergents that will remove dirt, pet odors, pet stains and animal hair from your chairs, loveseats, couches and other furnishings in your home. We also specialize in dry cleaning of special fabrics that cannot be cleaned using water and steam. We utilize truck-mounted equipment that deep cleans and sanitizes the furniture. When we complete the cleaning process your upholstery will be dry within 3-5 hours. 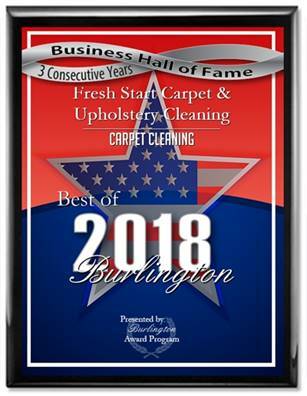 Fresh Start Upholstery Cleaning is a family-veteran owned company that has been serving South Jersey for over 16 years. We guarantee that you’ll be please with our services when we’re finished.